The Bangalore-based KME Trust is a registered educational trust. The trustees are driven by the shared vision of providing the youth of India with quality education options that are accessible and socially inclusive. The MDN Edify School Electronic City is the first in a series of initiatives envisaged. The KME Trust plans to establish an additional 10 schools catering to different socio-economic groups by 2023. 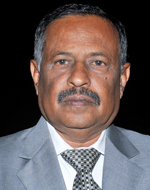 T Muniyappa is the Founder Trustee of the KME Trust. 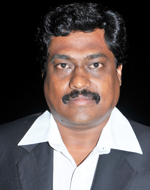 He achieved excellence in the professional sphere during his years in the Revenue Department of the BBMP. He was instrumental in implementing two key tax reforms of the BBMP – Self Assessment Scheme (SAS) and Capital Value System (CVS).He believes in taking challenges head-on and excelling in them. He is the inspiration behind the phenomenal growth of the Group. Ashok Gowda is the Chairman of the Board of Trustees and chief architect of the KME Trust. An architect by profession, Ashok is an alumnus of RV College of Engineering, Bangalore and CEPT, Ahmedabad. He has over ten years’ of experience in construction and project management and in 2010, founded GK Infra to develop premium residential layouts in Bangalore. Ashok is also a Visiting Faculty at BMS College of Engineering, Bangalore Institute of Technology, UV College of Engineering and DayanandSagar College of Engineering. Punya Gopal is a Trustee of the KME Trust. She received her Bachelor of Engineering in Electronics and Communication from the Bangalore Institute of Technology and holds a Masters of Business Administration from the Indiana University of Pennsylvania, USA. Punya’s professional experience comes from working in leading MNCs. 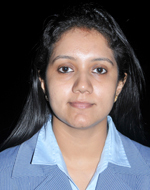 She is currently the COO and Head of Procurement and Planning at GK Infra. She also provides guidance on all activities of the Trust and works towards the promotion of the KME Trust.